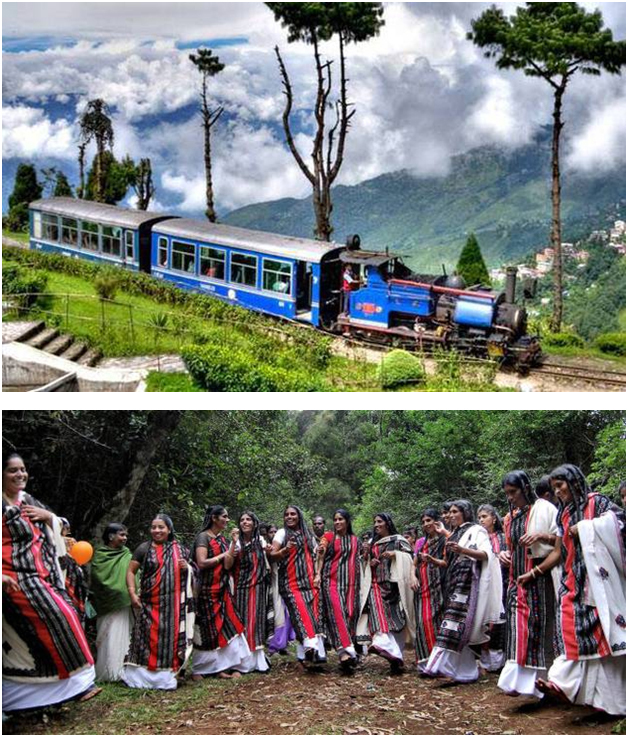 Nilgiri Mountain Railway (NMR) is a treasured element and fabled charm of Nilgiris since 1899. This Nilgiri rail system is unique as it is the steepest one in Asia. It was declared a World Heritage Site by UNESCO during 2005. Another interesting thing associated with the Nilgiri Railway is that the youngest X class loco is over 50 years old and the oldest is 80 years old. A century after it first attracted travelers, the Nilgiri Mountain Toy train continues to inspire weaving through forests, moving through time, along the valleys and into the little dark winding tunnels, round the bends, up the gradients, through the glens, trees and birds.A whiff of mist, a myna's trill, sunlight dances on yonder hill, whistling, chugging, fire, steam-clacking, moving into a dream Gorge, gorgeous, misty, foggy shrouded peaks, drizzles clothe the slopes. After breakfast visit to Doddabetta Park and he Nilgiri region is renowned for its tea and most of the areas in Ooty are surrounded with the tea plantation. The tea estate or plantation is one of attractions and you canenjoys to go for a walk in the tea estate which gives them peacefully. The place which is most popular for its tea estates is Glenmorgan which is one of the old tea estates and also Glenmorgan is one of the famous picnic spots. In Ooty, there are own tea factories for their tea plantations. The tourist is even allowed inside the tea factories and has ainflict. You can snap photographs and make it as a memorable moment in your lifetime, so that you can enjoy the view of the tea estate.